Most doctors agree that you shouldn’t wait to get screened for colorectal cancer. As organizations celebrate National Colorectal Cancer Awareness Month this March, Brown Physicians, Inc. caught up with Dr. Harlan Rich to discuss who is at risk for colon cancer and the actions you can take today to remain healthy. 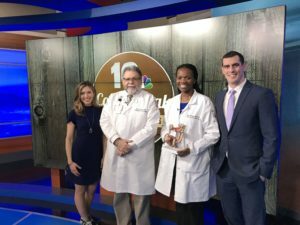 “Essentially, everyone over the age of 50 is at risk for colon cancer and we usually look to identify people who may be at a higher risk,” said Dr. Rich, a gastroenterologist with Brown Medicine, which is one of six foundations that compose Brown Physicians, Inc.
Colon cancer is a scary topic for most people, but Dr. Rich says it is important to get screened early for better outcomes. “This is one of the cancers that are treatable if you catch it early, and curable if you catch it really early,” Dr. Rich said. With screening being the best preventative measure against colon cancer, he emphasized that it is important for people to recognize their own individual risk for the disease and to seek a specialist regardless of the time of year. “Even though March is Colorectal Cancer Awareness Month, we want everyone to be aware of their risk for colon cancer and to be screened throughout the year,” Dr. Rich said. Dr. Rich, who is also an associate professor of medicine at the Warren Alpert Medical School and is affiliated with Rhode Island Hospital and The Miriam Hospital, suggested that younger people could also be at a higher risk for colon cancer depending on their family’s medical history. He says this population and other at-risk groups should have a colonoscopy performed at the Brown Medicine Endoscopy Center for preventative and practical reasons. 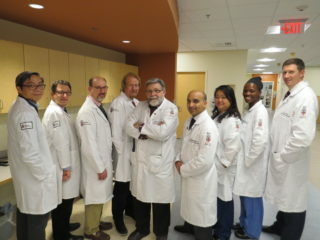 With a commitment to improve patient care, promote medical education, and advance research, Brown Physicians, Inc. encourages patients to learn more about the Brown Medicine Endoscopy Center here. If you are interested in receiving preventative care by a renowned team of physicians and gastroenterologists, you can also call 401-649-4030 to schedule an appointment.